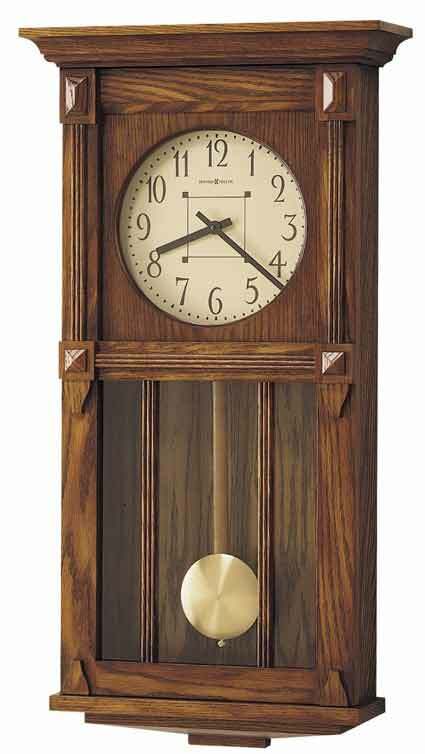 The Howard Miller 620-185 Ashbee II Mission Style wall clock in an authentic mission Oak finish on select hardwoods and veneers. A parchment dial features dark brown numerals and hands. The hinged front door opens as the dial follows the door allowing easy access to the controls and batteries without having to remove the clock from the wall. 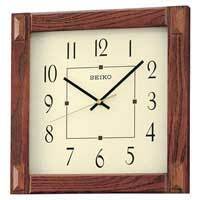 Decorative, wooden moldings frame the dial. Circular brushed brass swinging pendulum is antiqued and framed with wooden, reeded grilles. Quartz, dual chime movement plays hourly or Quarter-hour Westminster or Ave Maria chimes, and features volume control and automatic nighttime shut-off option. Operates on two "C" size Duracell batteries. 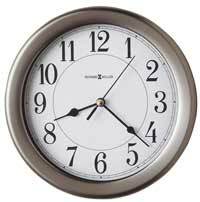 Size: Height 32-1/2", Width 16-3/4", Depth 6"
This Wall Clock is Made in USA. 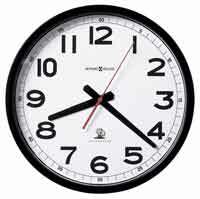 Clocks for sale at The Clock Depot including the 620-185 at discount prices.